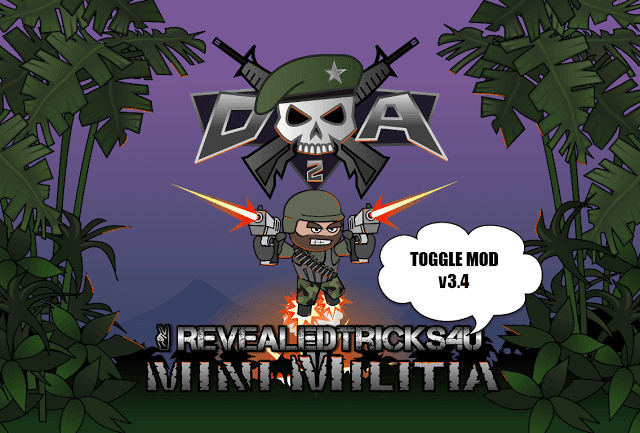 Here's your all-awaited Toggle Mod v15.0 for Mini Militia 3.0.27, works with all non-rooted devices with ARM processor architecture. 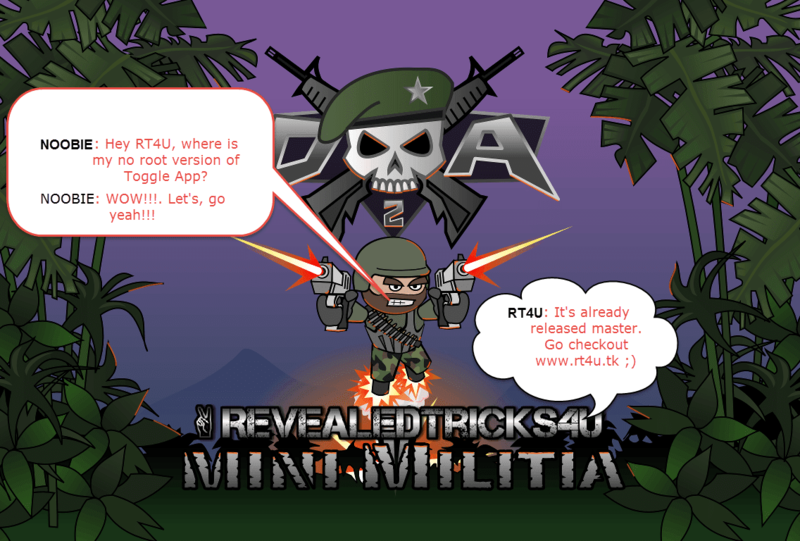 Includes all features from the latest version of Toggle Mod v14.1 - http://www.revealedtricks4u.com/2016/11/toggle-mod-v14.0-mini-militia-v3.0.6.html , which is meant for rooted phones. Install the downloaded "MiniMilitiaMods-RevealedTricks4U.com-NOROOT-v15.0.apk" file. Great.. such a fast update.. But problem with bombs is still there..
Can't take any other bombs..
Gas bomb purchased but can't change the bomb and use them..
Glad to hear your nice words, it really cheers me up. Am still working on that grenade bug, it would be fixed soon. But,everyone stop except me after few minutes. It's not a bug, if you use the mod so obvious, then the game autoban will ban your firing capabilities. My bullets and bombs also not doing any damage to any players..(others were killing each other, so no one was god modded) and can't take or use any other bombs..
Will take a look onto it. Thank for this update brother and happy birthday. Muje jyada English nhi aati. He request hai meri bass . Donate log to tumare toggle mods copy karte hai Bo toggle mod use Karke MM patch karte hai our apni website me release Kar dete hai . I'm right .? When i pick up a gun after sometime i can't kill anyone (hack detection i know). Its a request that instead of revolver i get any other good gun. Always Appreciated and will appreciate your work.  Showing Parsing error. Any suggestions. Mini militia toggle mod not working in my mobile .it always tell update game..i update game but then it also tell update the game. .what should i do?